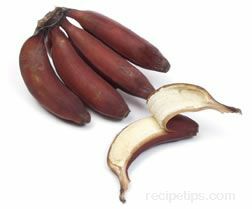 Manzano Banana A smaller member of the banana family, but not as small as the Baby banana, this variety is sweeter, perhaps somewhat drier, and provides a distinctive strawberry or apple flavor. 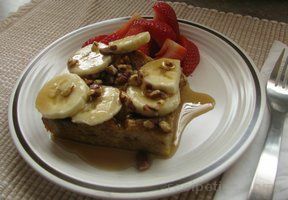 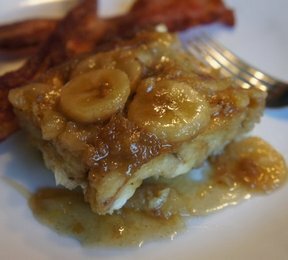 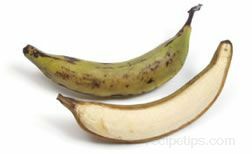 It has a chunkier or thicker appearance than the traditional banana, with an outside skin that has a pale-gold color. 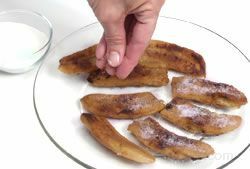 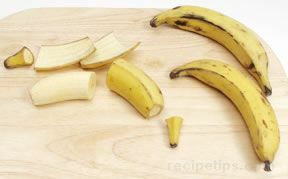 This banana is best eaten when the skin begins to show a greater amount of black color or completely blackens. 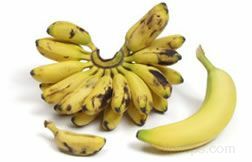 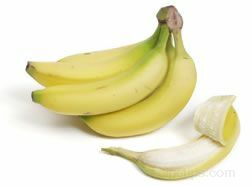 The Manzano banana is grown in South America, Mexico, Caribbean, Asia, and Africa and is also known as the Apple banana.